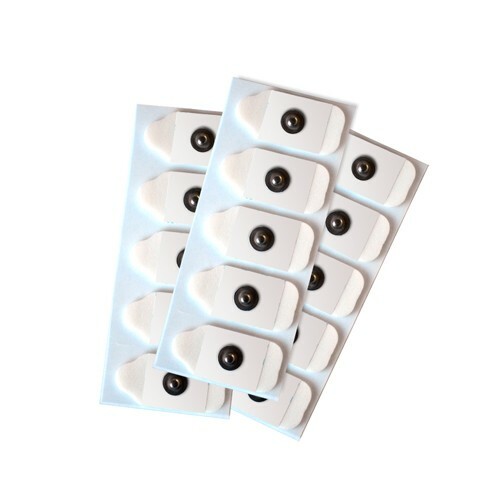 The 76642R consists of a package of 50 Ag/AgCl EDA (Electrodermal Activity) disposable snap electrodes (sensors) for measuring skin conductance of subjects undergoing polygraph examination. The electrodes are pre-gelled, hypoallergenic, and latex free. They are easy to use - simply peel off strip and place on fingers. These disposable electrodes are less susceptible to movement artifacts and lower resistance between subject and electrode giving more accurate signals. The electrodes are normally placed on the palm of the right hand. If required, they can be placed on foot bottoms or armpits.